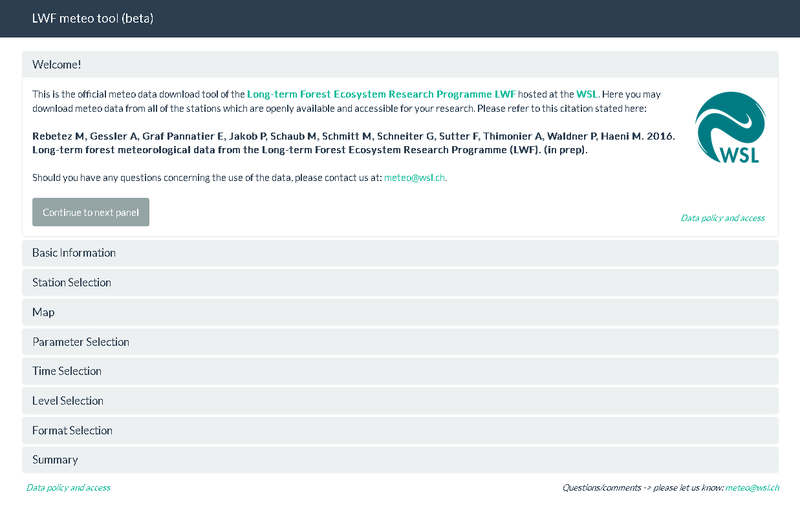 In the past few months we worked on a tool to make our LWF meteorological data not only openly available, but also accessible and usable. There are still many people underestimating the difference between making data accessible from a technical point of view and making the data usable from a scientific point of view. If you have any feedback/comments about the tool, please let me know, your feedback is welcome: matthias.haeni@wsl.ch.